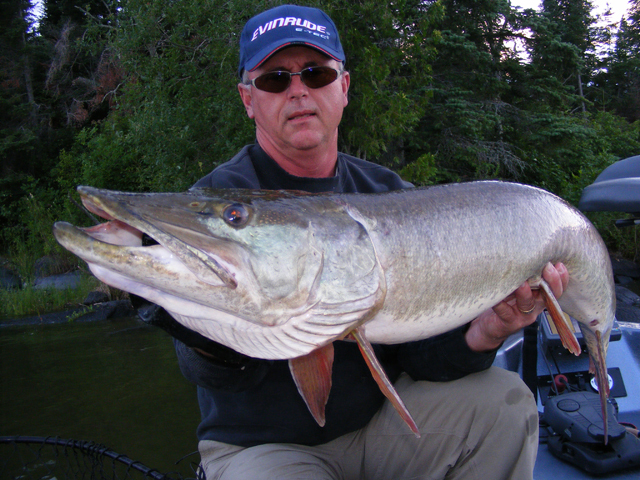 Six years after giving up the day-to-day reins of running his musky tackle manufacturing business, Joe Bucher has joined forces with long times friends, the Robinson family, to create a new company — Joe Bucher Outdoors. The Robinson family has been in the fishing tackle business since 1939. Beginning with the late George Robinson, who opened a livebait wholesale business, son Jerry Robinson then morphed it into a two-pronged operation that featured both livebait and a fishing tackle distribution center. Eventually, the third generation of Robinsons, Ken, Dave, and Mike, expanded the business even further including an extensive fish hatchery division. A 4th generation of the Robinson family is now working the business, as well. “I can’t tell you how excited we all are about this new partnership with Joe Bucher and his product line, “claimed Ken Robinson. “After 40 years in the fishing tackle retail business and over 50 years as a distributor, tackle manufacturing will add yet another dimension. We plan on using our extensive sales staff to expand the customer base and yet retain the great integrity of this product line. “We also plan to get back to the basics of what made this product line so popular with big game fishermen everywhere for the past two decades — build the very best possible products, be aggressive but thorough on researching new ideas, and make darn sure they are all available on a timely basis” says Ken Robinson. The new company will be called Joe Bucher Outdoors and will be based out of Genoa City, Wisconsin. You can order direct from anywhere in the world!